Detroit would love to be in the Bay Area's shoes. According to the San Jose Mercury News, Bay Area job growth has reached a five-year high, recovering almost all of the jobs lost in the Great Recession. But all those jobs come with a need for workers... and a place to put them. Enter the region's housing crisis. It seems that almost everyone in the Bay Area has a housing horror story to tell. Anecdotes abound of renters spending months looking for a new place, and the pound of flesh extracted when they do find one. Equally scary are the stories from aspiring, seemingly qualified homeowners who are turned away by banks. And I'm betting most of us know someone who has thrown in the towel and left the region entirely for less expensive pastures. Over the coming months KQED will bring you the facts and stories of the Bay Area housing crisis as part of a new series we're calling 'Priced Out.' We'll tell the stories of people struggling and surviving amidst the increasing cost of living. We'll take you into changing neighborhoods and cities, look at who is getting evicted and why, as well as show you what possible solutions look like. And, of course, we want to hear from you: Why do you stay in the Bay Area? What makes it worth the high cost? At what point will you say 'uncle' and leave? We'll ask you to take photos of your home, to tell us the moment you realized your neighborhood was changing, and how you are, or aren't, managing to stay afloat. The series launches Thursday at 10 a.m., when Forum sets the stage with an update on the housing market: Where are we actually at and where are we going? 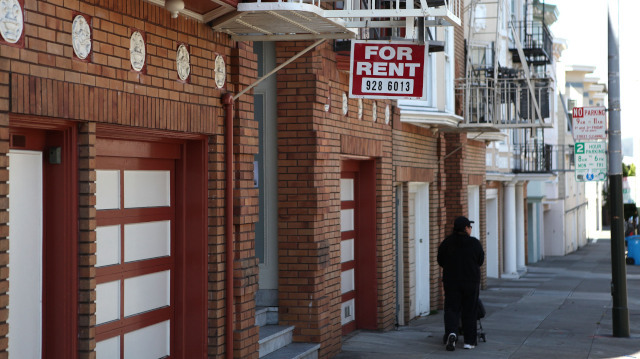 KQED's Newsroom will host a roundtable on Friday at 8 p.m. Next, Forum and KQED's education blog, The Lowdown, will look at the Ellis Act — what it is and whether evictions are on the rise. From there, coverage will continue across KQED: on the recently re-launched Newsroom on KQED 9, The California Report and KQED's news blog, News Fix. You can follow along with the series at kqed.org/pricedout and follow the hashtag #pricedout on social media. If you have suggestions for what you would like to see included in this series, please feel free to post it below or email forum@kqed.org.